③ What type of app do you want to create? 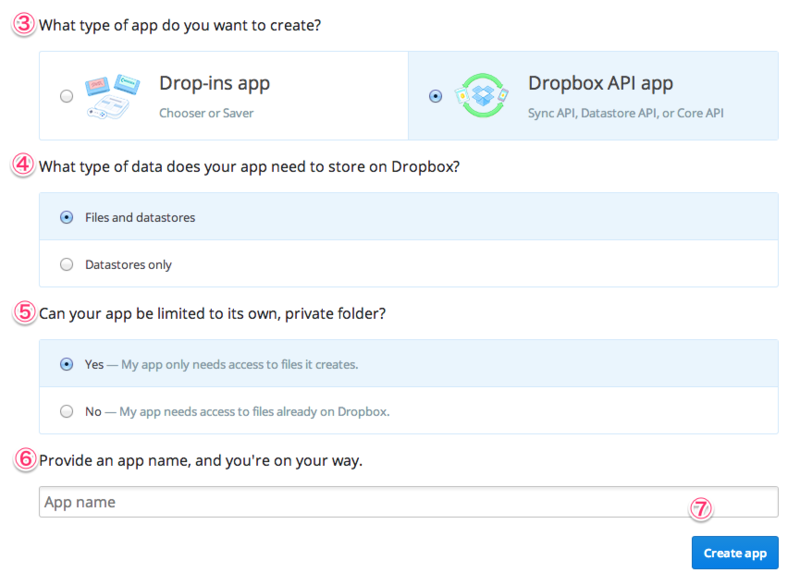 ④ What type of data does your app need to store on Dropbox? ⑤ Can your app be limited to its own, private folder? ⑥ Provide an app name, and you're on your way.